The Teeter EP-960 inversion table is an updated variation of the very popular EP-560 table from Teeter. 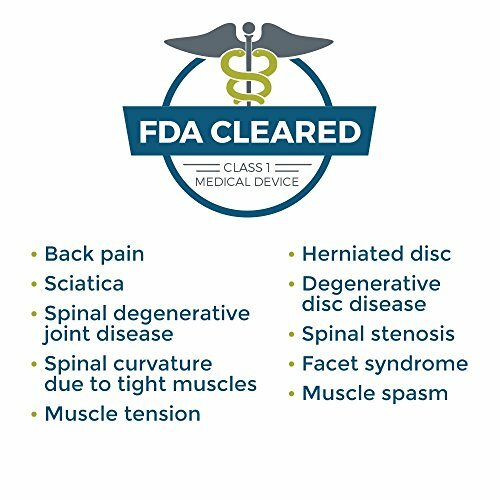 The EP-960 features everything that the EP-560 has to offer and also includes some added bonuses that those who suffer from back pain may find very useful. Whats the Difference between the EP-960 and EP-960 Ltd packages? Much like the EP-560 the updated 960 model is available as a standard package that has no accessories included, or you can opt for the EP-960 Ltd package that comes with a back pain relief kit. Included in the Ltd package are 8 colorful acupressure nodes that are paired into varying heights. The acupressure nodes offer the user varying intensities of pressure point relief for the back muscles and provide more focused back pain relief while inverting. Due to the design of the Teeter tables comfortrak bed, the nodes can be placed in numerous positions along the grooves of the table. This allows the user to arrange the nodes anywhere on their back to suit their personal preference. While inverted the user can also shift their body around the nodes to mimic the feeling of a shiatsu style massage. The Ltd package also includes a lumbar bridge support which can be used to provide additional support to the lower back area. The lumbar support is also a nice additional feature if you need to apply deeper decompression and further traction. Just like the acupressure nodes, the lumbar support slots into the grids on the Teeter backrest. It can also be adjusted, depending on if you prefer a more subtle contour or a larger curve. As you can see on the image to the right you can also use the acupressure nodes on the lumbar bridge. Both of these accessories can also be bought separately. It is also worth mentioning there is barely any difference in price if they are bought in addition to the table or purchased via the Ltd EP-960 package. The EP-960 shares many of the the same features of the EP-560. It has a weight capacity of 300 lbs and is height adjustable to suit anyone between the heights of 4 ft 8″ to 6 ft 6″. The EP-960 features patented wrap around ankle cups that are ergonomic and made from very comfortable foam. The contoured bed found on both models is great for stretching and has hand grips on the sides and top of the backrest. 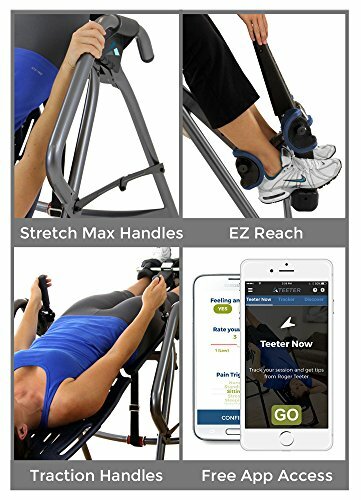 The curved lower floor bar at the back of the inversion table is also a great addition for even more stretching options. Just like the 560 model, this model is one of the easiest inversion tables to control and adjust. This is thanks to the precision rotation that helps with balance and allows for effortless inversion using simple arm movements. The EP-960 also comes with a 5 year full warranty from Teeter and is FDA cleared and a class 1 medical device. 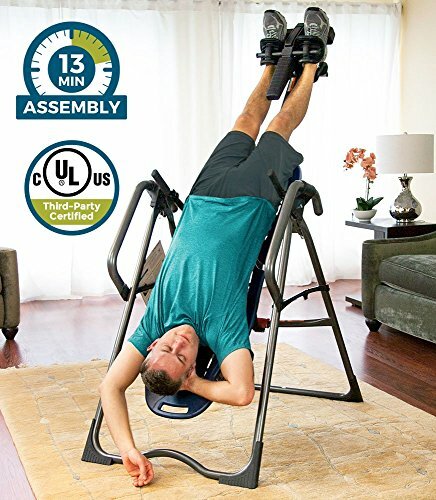 In addition to this since this is a Teeter inversion table it also has a UL 3-rd party safety certification and has been successfully tested against other leading brands with regards its strength and durability. If you would like to read more about the UL safety tests you can do so here on our full guide to inversion. On this page we also explore why Teeter tables are considered so much better than many other brands. What makes the Teeter EP-960 a better choice over the EP-560? Overall the EP-960 is a more preferable option for many due to 3 main differences. The first is the EZ reach extended ankle lock that lowers the amount of stress on the back when securing the ankle holders. Rather than having to bend all the way down to fix your lower legs into the holders, you can simply use the lever with barely any additional effort. The second is the stretch max handles on the side of the table. On the EP-960 these are longer and offer more control and stability when inverting. The stretch max handles are however also available on one of the more expensive versions of the EP-560. When compared to the rather short handles on the regular EP-560 it is easy to see why the longer handles may be more preferable, especially for anyone less agile or for beginners. The last addition to the 960 is the traction handles on either side of the table. These come in really handy when you want to add further stretching options to your inversion session. They are also useful to add decompression when inverting at lower angles. 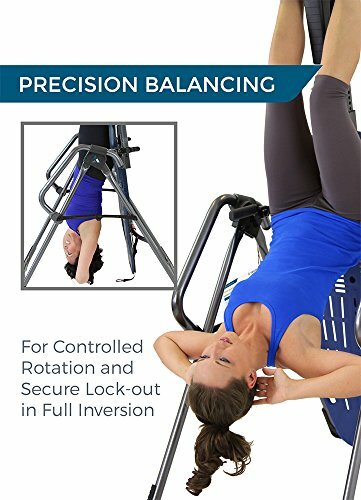 If you are new to inversion or would like to learn more we recommend you take a look at our guide to inversion tables. We would also suggest you take a look at the benefits and the risks of inversion sections in our guide before deciding on a purchase!